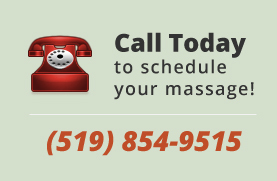 How much does massage therapy cost in London, Ontario? The Registered Massage Therapists’ Association of Ontario (RMTAO) has published this Guideline to assist individuals who receive services from a Registered Massage Therapist in understanding the fee structure and the legal and practice requirements with which massage therapists must comply. CONSIDER GIVING THE GIFT OF MASSAGE THERAPY. For more information and to order online massage therapy gift certificates please click here. When paying through an insurance plan, some Massage Therapists will bill directly while others will require payment for the client who then submits the claim to their insurance provider. Some insurance plans may require a physician’s referral prior to the start of massage therapy treatments while others allow treatment without referrals. Most plans have a maximum amount available. Please consult your extended health benefit plan.